Choosing the right offices to rent can mean the difference between success and failure for your business. It can be hard to strike a balance between perfection and affordability, especially if you’re just starting out, but your office is something you’ll have to live with for the term of your lease- so choose carefully. Here’s a checklist that will help you find the best office for your needs. Location, location, location. Just as in real estate, choosing good office space is all about location. If an offer seems too good, it probably is! You may find cheap offices, but if they’re in a dubious neighborhood, think twice. Your employees will be spending eight hours a day or more in your office, after all! You should also try to choose offices near public transport routes, if possible, but if you can’t, try to find space near a main road. If possible, sit down with your employees before choosing a space; having their input will enable you to choose an office location that works for everyone. The type of business you run will be a determining factor in the location you choose. Ask yourself these questions: Do your customers come to your location, or do you go to them? Do you manufacture products, or distribute them for others? If your livelihood is dependent upon pedestrian traffic, you will want an office located in a retail area, such as a mall or a downtown strip. If customers actively seek your type of business, you will want an office location that’s easily accessible from major roadways and public transportation routes. Make sure your building has ample space. 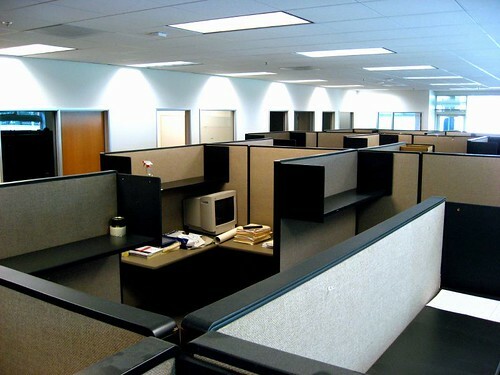 Rather than worrying about square footage, hire an office designer to assist you in your search. If that’s not in your budget, mock up a potential layout to envision how to best use the space you’ll have. Find out how much freedom you’ll have as far as decorating is concerned, and whether you’ll have to return it to neutral when you leave. If you’re planning on an expansion, you should find an office with room to grow. Finding the perfect offices to rent can be difficult, but your efforts will pay off in more ways than one. Choosing a centrally-located, secure building with plenty of room for growth will not only make you and your employees more comfortable while you’re working, it will boost your bottom line. This post was written by Crispin Jones on behalf of Foxhall Business Centres, suppliers of offices to rent. To find out more about Foxhall Business Centres and take a look at offices to rent, please click here.